Remove the camshaft intake and exhaust sprocket. Refer to Camshaft Intake and Exhaust Sprocket Replacement. 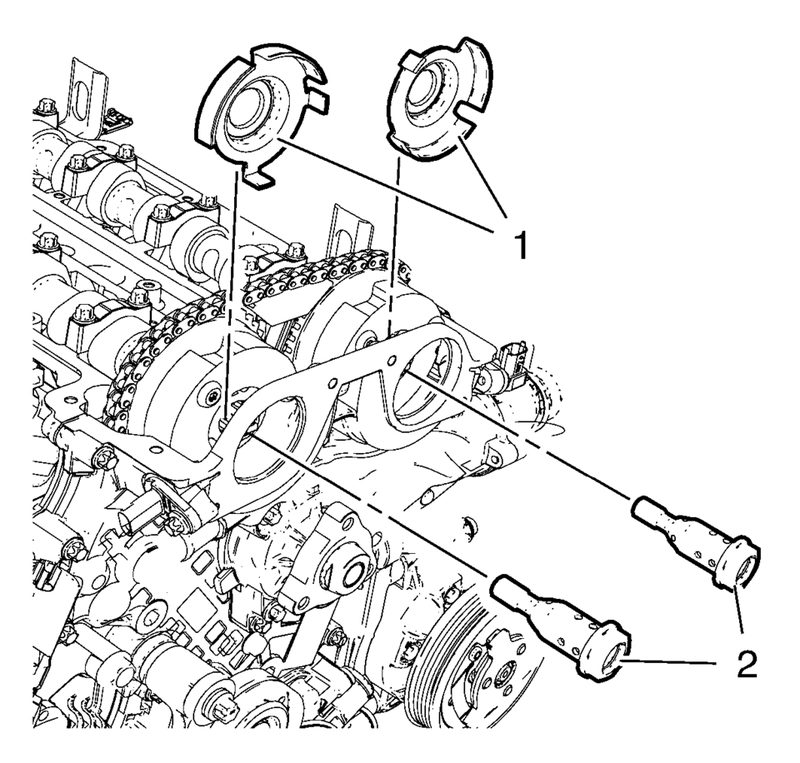 Remove and DISCARD the camshaft sprocket bolts (2) and the camshaft position exciter wheels (1). Allow the both camshaft sprockets with the timing chain to rest on the engine front cover. 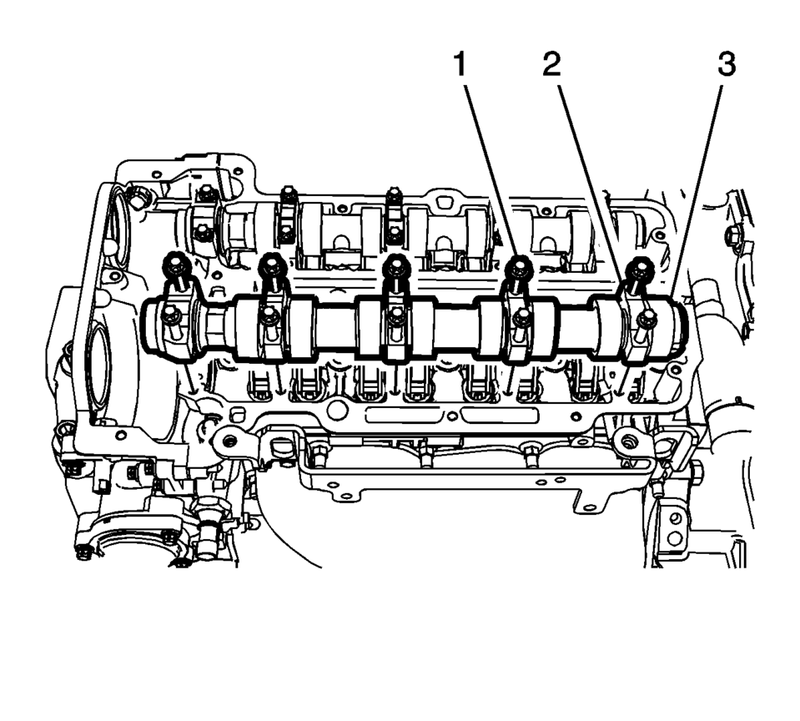 Remove the camshaft bearing cap bolts in sequence shown. Ensure to remove the bolts one turn at a time until there is no spring tension pushing on the camshaft. Remove the camshaft bearing cap bolts (1). Remove the camshaft bearing caps (2). Remove the exhaust camshaft (3). Ensure that the camshaft sealing rings are in place in the camshaft grooves. 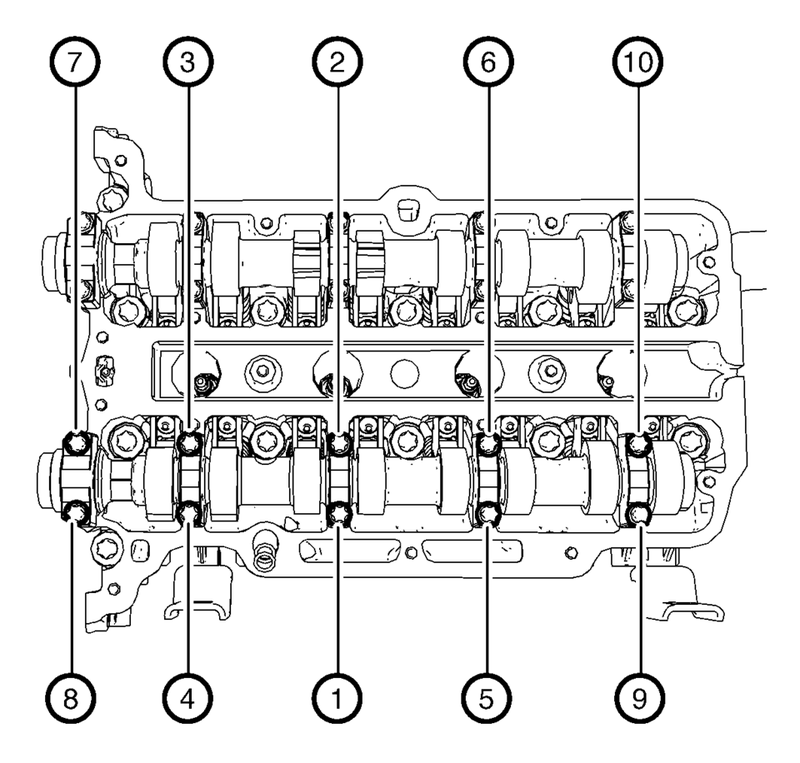 Camshaft sealing rings must be in place below the surface of the camshaft journal in order to avoid being pinched between the cylinder head and the camshaft caps. Lubricate camshaft and camshaft bearing caps with engine oil. Install the exhaust camshaft (3). Install the camshaft bearing caps (2). Install the camshaft bearing cap and hand tighten the bolts (1). Install the camshaft intake and exhaust sprocket. Refer to Camshaft Intake and Exhaust Sprocket Replacement.